ArCHspec is the world's only Residential Specification system, created by Architects for Architects. ArCH is the exclusive source for this product (see the ArCHstore). If you design homes and you need specs, ArCHspec is what you need. ArCH is a professional global organization that provides Licensed Architects benefits specifically focused on residential architecture. Join ArCH and see for yourself. Professional friendship is unrivaled in ArCH. You'll discover that ArCHmembers are responsive and knowledgeable. There's always someone who will help you. Enjoy unsurpassed peer advice & counsel in ArCH, all focused on the marketing, design, documentation and management of residential architecture. Value of detailed Architect documents = less problems and fewer change orders during construction, which can save hundreds of thousands of dollars. "I feel so grateful to have found ArCH, knowing there is a group of Architects out there who share the same passion and want to elevate who we are and what we offer!" Join ArCH and enjoy sharing ideas with the best residential Architects around the world. "ArCH members do not work to minimum standards set by the government. We set the bar higher. We make our life's work helping families create a place in which to live well." "Before anything else, preparation is the key to success"
ArCHmembers discover new knowledge about residential architecture and share it with other members. ArCH improves residential architecture, in all its aspects. ArCH gets things done. It doesn't just talk about them. "Do the math: Better Design= Better Built"
"YES! You can meet with an Architect to discuss your house project! Just phone or email them"
ArCHmembers can buy discounted electronic files in the ArCHstore, tailor-made to help their residential architectural practice. You can't find these products anywhere else. The characteristics displayed by ArCH do not come quickly, or cheaply, or without a ton of very hard work from lots of Architects, Attorneys, website programmers & other consultants, led with unwavering dedication toward improving residential architecture. "To an ArCH member, the Client's dream is not just another project. We take our responsibility to the Client to a much higher level of concern for outcome..."
"Thank you for being such great partners on this huge endeavor of building our home. Not only do we love your plans, we appreciate your attention to detail..."
"IF YOU THINK IT'S EXPENSIVE TO HIRE A PROFESSIONAL, WAIT UNTIL YOU HIRE AN AMATEUR." "Building a new home is one of the biggest investments a family will ever make. You deserve only the best! Do it right with an Architect!" "I feel more comfortable, knowing that my Architect belongs to ArCH. Their mission is to Improve Residential Architecture." "We are ArCH because we care more about our profession. And thus provide a better choice for the Clients in the marketplace." "Definitely helps when the Client feels your excitement...I am excited for them because it is their home and will make it more functional & happy for them." "Improving Residential Architecture" is their Mission Statement. I agree completely. They do that." "Designing a brand new home for me is like being a kid in a candy store!" "I was searching for a professional organization that truly represented Licensed Architects who design homes. ArCH is it. No other organization has this focus." ArCH is the international organization of Licensed Architects focused on residential architecture, professional excellence, member assistance, friendship & success, Client value & service. 1. ArCHspec™ : Architectural Specifications. 2. ArCH-OGCA™ : Owner General Contractor Agreement. 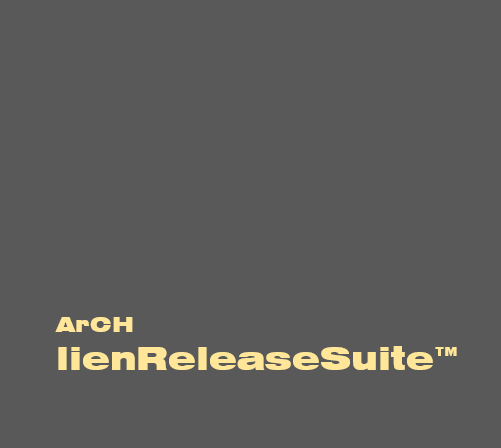 2.a ArCHlienReleaseSuite™ included in above item. 3. ArCH-AOA™ : Architect-Owner Agreement. 4. ArCH-4in1™ : Bid form, Value Engineering form, Schedule of Values, Pay Request form). 5. ArCH-CA-SV™ : Construction Administration Site Visit form. 6. ArCHourZ™: Professional Services Hour Estimation spreadsheet. 12. Other items to be added in the future. The bundled package of Lien Releases (intended to accompany Contractor Pay Requests at every stage of construction). This package is already part of the ArCH-OGCA™ which is already included in ArCHsuite™ (above). So if you’re buying either of those products you will not need to purchase ArCHlienReleaseSuite separately. The best residential Architect-Owner Agreement on the planet. Click above to find out more and to download yours now). Click above to see in the ArCHstore product page, discover more and download your copy. Click above to see the product page, read about it and order yours. Part of the integrated suite of forms that interlinks the ArCHspec™ and agreements to the above forms. Greatly simplifies and coordinates project management functions. CA-SV™ : Construction Administration Site Visit <–(click here) report form. Click above to see the product page, read about it and order yours. Part of the integrated suite of forms coordinated with ArCHspec™ and other forms. Professionally organizes your site visits for your projects under construction. Click above to see the project page, read about it and order yours. Part of the integrated suite of forms coordinated with other forms and applications. Professionally helps you declare Substantial Completion on your projects nearing construction completion. Professionally helps you declare Final Completion on your projects at the end of construction. ArCHourZ™: Professional Services Hour Estimation spreadsheet <–(click here). Click above to see the product page, read about it and order yours. Part of the integrated suite of forms coordinated with ArCHspec™ and other forms. Allows you to swiftly and comprehensively estimate your projected hours for your projects. ArCHinvoice™ calculates your invoices after you enter basic data and has features to help you get paid more promptly. This is a spreadsheet template that automates much of your invoice calculation and makes it obvious how much your firm is charging and when the invoice is due (things that not many other invoice formats appear to do very well). Also: ArCHinvoice™ comes with ArCH ProjAccount™ (see elsewhere in the ArCHstore for ProjAccount™), which is a more robust application, using ArCHinvoice™ as one of its components. 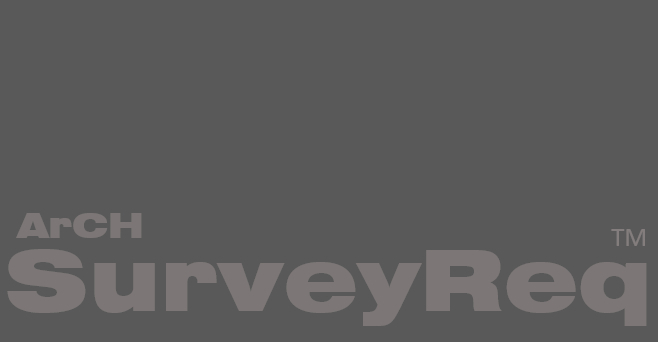 ArCH-SurveyReq™ manages your Land Survey acquisition in one comprehensive form, tailor-made for residential architecture surveys. ArCH-GeoReq™ helps you manage your Geotechnical Engineering acquisition in one comprehensive form, specifically created for residential Architects. ArCHchart™ provides you with a quick and easy project progress chart that you can provide to your Clients, that informs them what you’ve accomplished so far, where you’re at now, what’s next, and what remains ahead. A simple means to explain the architectural project process to your Clients. A happy Client in an informed Client. Manage expectations. Help them understand where they fit into the project process. Contains 39 preformatted spreadsheet invoices, professionally formatted, that also link to a Master Invoice List, automatically. Makes invoicing a breeze, with the added benefit of having all of a project’s invoices summarized on a index list, totaling what you’ve invoiced and been paid for a project. Can’t operate without it, once you’ve starting using it. Note: ProjAccount™ also incorporates ArCHinvoice™, the ArCH semi-automated invoicing format template. So: if you are already using ArCHinvoice™, you already know most of how to use ProjAccount™. Tired of complicated database accounting programs? This isn’t that. As a matter of fact, ProjAccount™ has at its center, the Master Invoice List, which is 99% automated, automatically reporting what each of the linked invoices tell it for each invoice amount, due date and summary of the invoice work. In other words, after you make a new invoice, the Master List already has the information from that so you can simply click on the Master List and see how all of your invoices for a particular project total for various categories, such as Professional Fees earned and Reimbursables. Note: ProjAccount™ is Not intended to be a comprehensive whole-firm database accounting system. ProjAccount™ is a multi-sheet single file spreadsheet application focused on invoicing for a given project and totaling those invoices so that you can understand where you are at on a given project for billing and how that compares with your overall estimated possible fee. Project Accounting (not whole-firm accounting, which you should handle with other applications). This application “thinks” the way Architects do. Division 0 through 17, geared to a simpler, compact, direct specification method, customizable by each user. Over 3 decades in the making. This is the tried and true marketing system from ArCH, containing methods ArCHmembers have discovered that work, over lifetimes of practice, trial and error, on the part of licensed Architects designing homes. This is a webpage listing of various techniques, made available to all ArCHmembers. You will need to have the ArCHmember password to enter this password protected page. Detailed 3-dimensional spreadsheet (11 main modules with other related sheets) that allow for comprehensive and professional home inspections by licensed Home Inspectors. (note: ArCH has, for now, made the above form a gift to all residential Architects everywhere. No charge usage. Enjoy taking charge of declaring the Energy Values on your projects, and to linking your projects to a QR code project database page. Contact ArCH about creating your project database (there is a charge for that)). — ArCH Member Project Page(s) (<–click here) This allows you to order the establishment of a Project Page for each of your projects on the ArCH website, which can be linked by a QR code to the ArCHomesData form that is posted inside your built projects for reference by the home’s future buyers, Contractors, or others interested in the database that you can establish for your projects online. This is an exciting opportunity for you, as the Architect, to link your homes to your Project Page(s) on the ArCH website. — Soft-sided briefcase with ArCH logo (in progress: not yet available). © Copyright 2012-2019, ArCH : Architects Creating Homes. All Rights Reserved Worldwide. All images belong to ArCH members and are copyrighted under their individual company marks, unless otherwise indicated. Architects Creating Homes hereby disclaims any responsibility whatsoever for any individual member's work, designs or other architectural efforts. ArCH is a professional organization representing the best interests of its membership and the quality of residential architecture. Any administrative or technical forms sold or provided to members or others is for informational purposes only, and must be reviewed by your legal counsel and updated by your own technical research before using on actual projects, at your own risk.